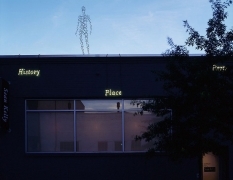 Sean Kelly is delighted to announce a major exhibition of new work by British artist Antony Gormley. 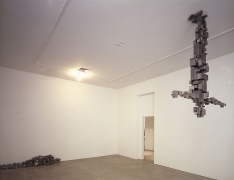 This is Gormley's first solo exhibition in New York since 1991 and his first since joining Sean Kelly Gallery. 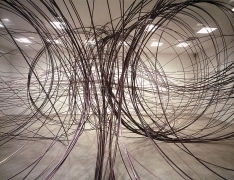 Gormley's ambitious exhibition includes several important freestanding sculptures, accompanied by a major installation in the Main Gallery for which the entire space has been altered. Domain XLI, the zone of the body as an open matrix viewed against the sky, will be installed on the parapet of the gallery overseeing those entering the space. 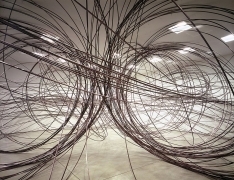 In Gallery 1 is Capacitor II, a bodyform made of over 6000 steel tubes from which more than 3000 metal rods of different lengths protrude; it is readable in two distinct ways, either exploding outwards into space, or imploding as a black hole. It seems to allude to the rays of gold that might surround a baroque saint – here made black and charged - although it is not clear whether they are a sign of transcendence or of suffering, where the multiple arrows of a St. Sebastian are turned into a fetish. In Gallery 2, a number of new sculptures from the variable block series (pictured above) are installed. Comprised of a rising canon of four block sizes each eight times the size of the former, they translate the place of the body into a massive matrix organized on algorithmic principles, in which the void/mass relationship is held in a precise tension – each block a self-contained element in the whole. The sculptor calls the process "making the pixel physical," although it could also be a reversal of the neo-platonic ideal of the city in the form of a man. The works in this gallery, placed axially, condense the architectural definition of space into the body. Whilst these sculptures evoke the work of Minimalist artists such as Donald Judd, it is perhaps more accurate to reference the early installations, performance, and instructional works of Bruce Nauman. In contrast to the compressed energy of the block works, Clearing, a three-dimensional drawing in space is five kilometers of arcing metal rod which turns the Main Gallery into a vast energy chamber contesting the architectural definition of space and making the viewer its subject. The totality of the works in this exhibition extend Gormley's interest in the body as a place, exploring the universe that exists inside the body, as well as the relationship of the body to the immediate space it inhabits both in the built environment and the elemental world. 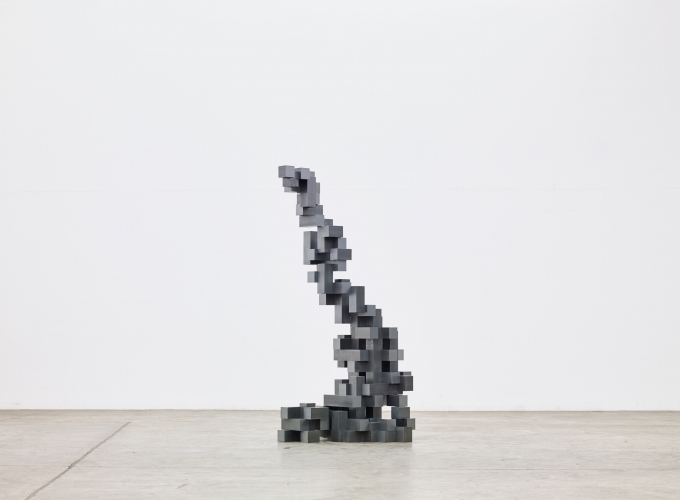 Antony Gormley is without question one of the seminal artists of our time. His work is included in many major public collections worldwide including: The Tate Gallery, London, England; The Victoria and Albert Museum, London, England; The Scottish National Gallery of Modern Art, Edinburgh, Scotland; The Centre Georges Pompidou, Paris, France; The Irish Museum of Modern Art, Dublin, Ireland; The Hakone Open-air Museum, Tokyo, Japan; The National Museum of Modern Art, Tokyo, Japan; The Museum of Contemporary Art, Los Angeles; The Walker Arts Center, Minneapolis; The Museum of Modern Art, Fort Worth, and The Museum of Contemporary Art, San Diego. Gormley's Asian Field, is on view until June 19, 2005, at the 3rd World Ceramic Biennale 2005 in Icheon, Korea. A major work, Another Place, will be installed in Crosby Sands, near Liverpool, England from May 2005 until November 2006. A major new publication, Making Space, was published in January this year and will be available at the gallery.